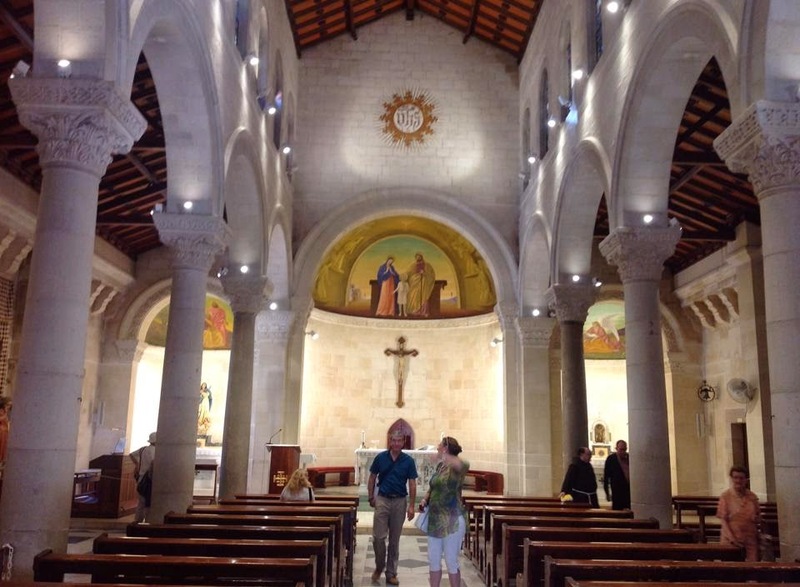 Nazareth was a sharp change from Tel Aviv which is a young, modern, and mainly secular city. Nazareth is an older Arab city, noisy with crazy traffic and crying vendors. Driving in Nazareth is quite and experience and navigation was a challenge. We had a heck of a time finding our accommodation at Pilgrim House. Once we found it, it was a haven; a delightful place to stay, although it is a bit a walk downhill to the town centre (and uphill back!). The people were friendly as. 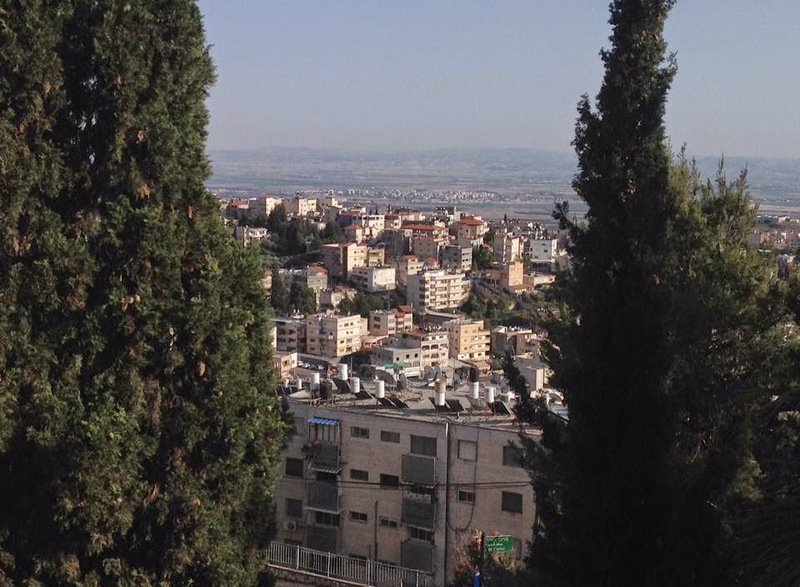 Nazareth is nestled among hills, not far from Sepphoris (Tsipori), where Jesus likely worked as a carpenter with Joseph when it was rebuilt by Herod Antipas (killer of John the Baptist). 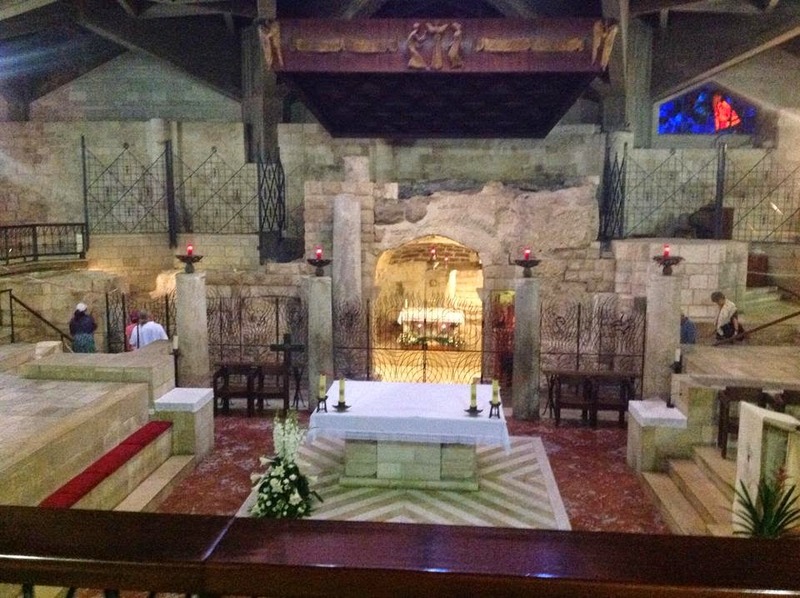 We visited the Church of the Annunciation where it is said Gabriel appeared to Mary. Within the church there is a spot which is said to be THE point of angelic revelation (see right). It is a lovely church and a great site with mosaics from all over the world. NZ does not have one, which was disappointing. I wondered why. 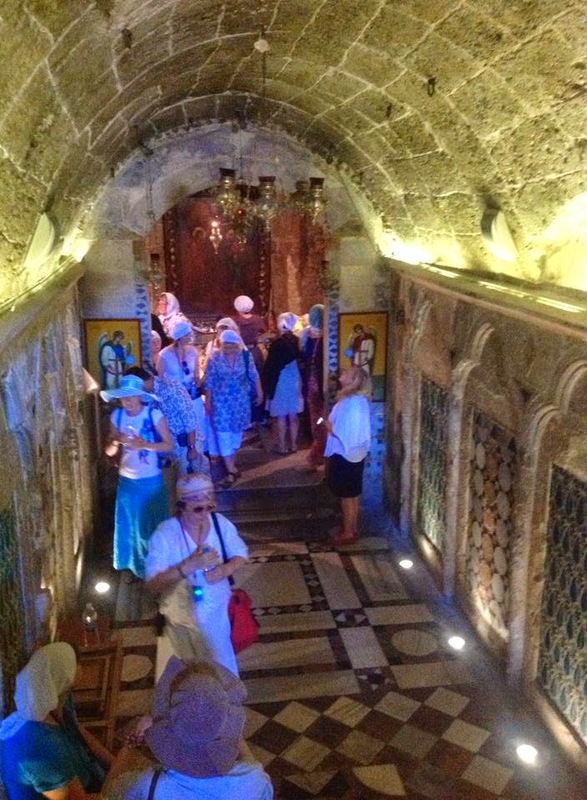 There are remains of first century Nazareth underneath the church which are also most interesting. Then we visited the neighbouring church of Joseph where it is said his workshop stood (left). The Orthodox Church have their own version of the Church of the Annunciation (right). The caves underneath it are cool. Remembering that the town was small at the time of Jesus, I kind of rationalised and said to myself, “it was somewhere near here.” After all, it was a small place, and life was no doubt contained in a small space near Mary's well (below). Mary’s well may also indicate where she got water each day (left). 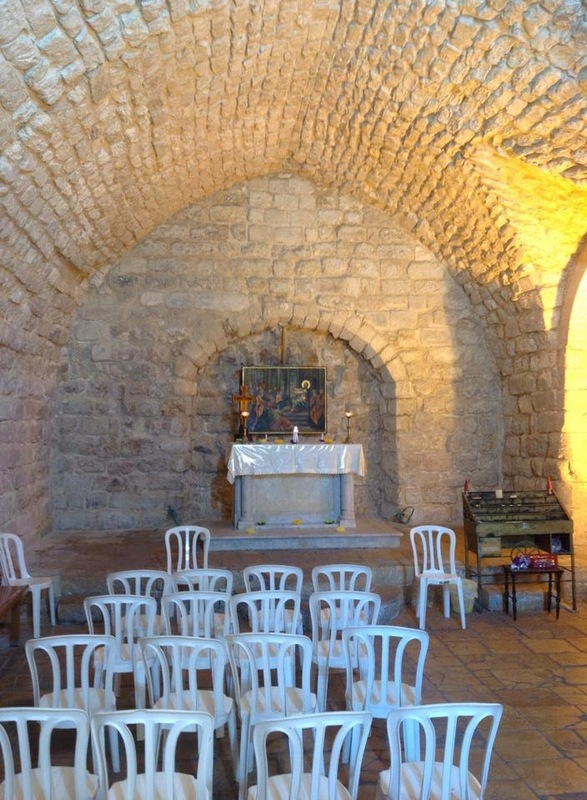 My favourite place was the Synagogue-Church site which is hidden away in the bustling market where it is said Jesus preached his sermon of Luke 4 in the Nazareth Synagogue I found it powerful to consider that it was here Jesus preached and was rejected by his people (right, chairs not first century!). 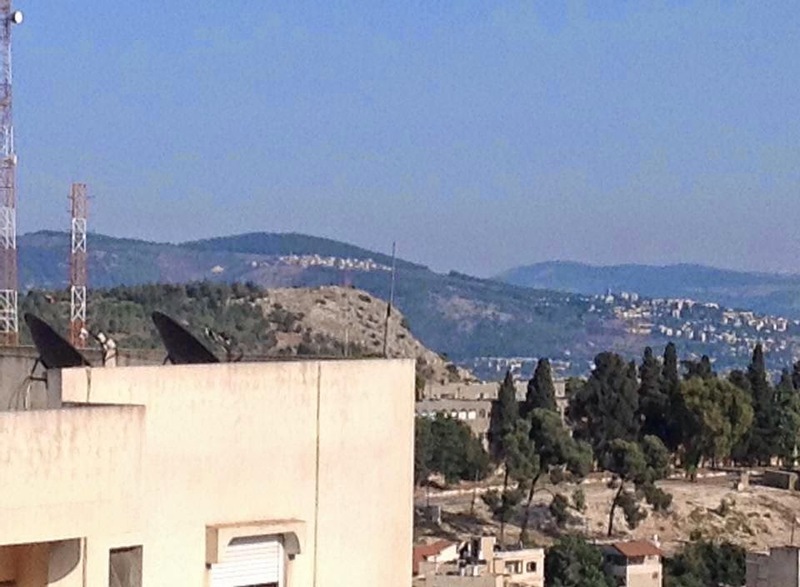 Then there is Precipice Hill where it is said the people tried to kill Jesus (left, taken from Pilgrim House--the hill in the foreground). Despite the questions over historicity, the town is great and a place for deep theological reflection. After all, for believers it is here that heaven met earth as God became flesh in the womb of Mary – that made me think and worship. 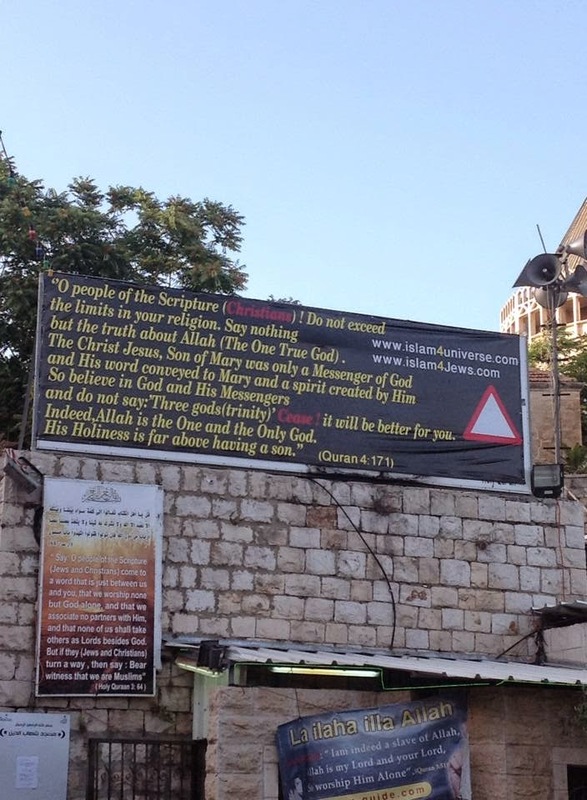 The abhorrence that Muslims have to this idea is seen in the powerful message on a mosque beside the Church of the Annunciation (right). To me, this was a disrespectful sign to God, to Christians and to women. 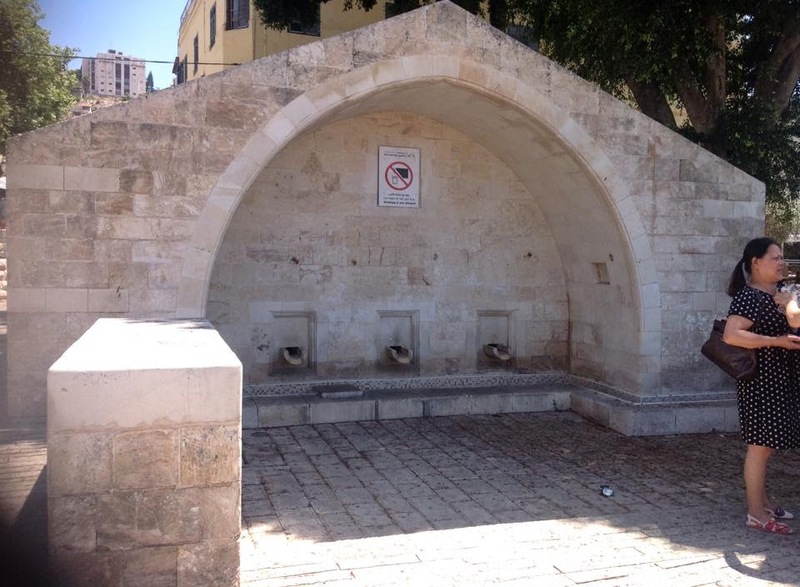 All in all, Nazareth is a fantastic town to visit. You can imagine Mary doing her daily work, Joseph and Jesus at work bench, and Jesus the boy tearing up and down the hills. You can imagine his pain at being rejected by his own people and then walking the long road to his baptism in the Jordan and then to the Sea of Galilee where his ministry in the main occurred. Or the family heading to Jerusalem for Passover, and on one occasion, losing young Jesus at the Temple. It is a great place to imagine.